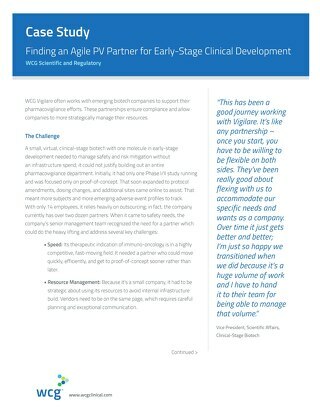 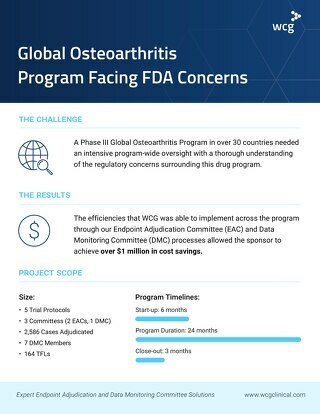 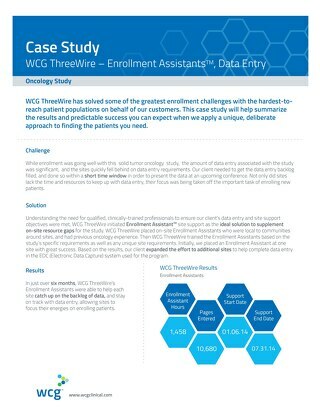 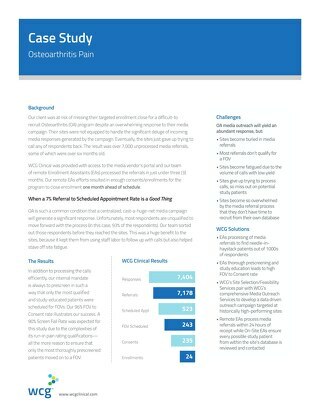 Randomize 200 subjects in 45 days, including obtaining IRB approval, and launching the recruitment program within 30 days of contract signing. ThreeWire developed radio, television and print ads, as well as a dedicated study website and patient portal. 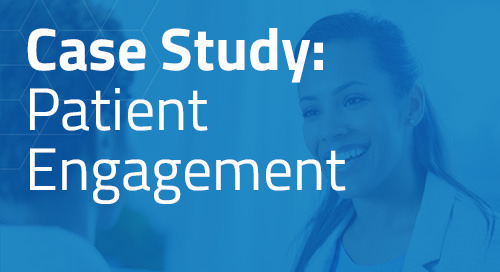 Respondents were pre-screened at our Patient Interaction Center® and referred as appropriate to approximately 75 sites. More than 4,000 screenings were completed in three weeks. 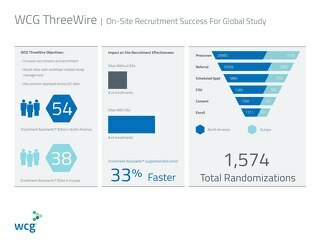 Recruitment goals were reached two weeks ahead of schedule, with ThreeWire’s contribution of 95 patients.